The Mercer Council and Prevention Coalition of Mercer County were proud to be represented at 9 different National Night Out (NNO) locations throughout Mercer County. National Night Out is an event that seeks to foster and enhance the relationships between neighborhoods/comminuties and various law enforcement agencies. 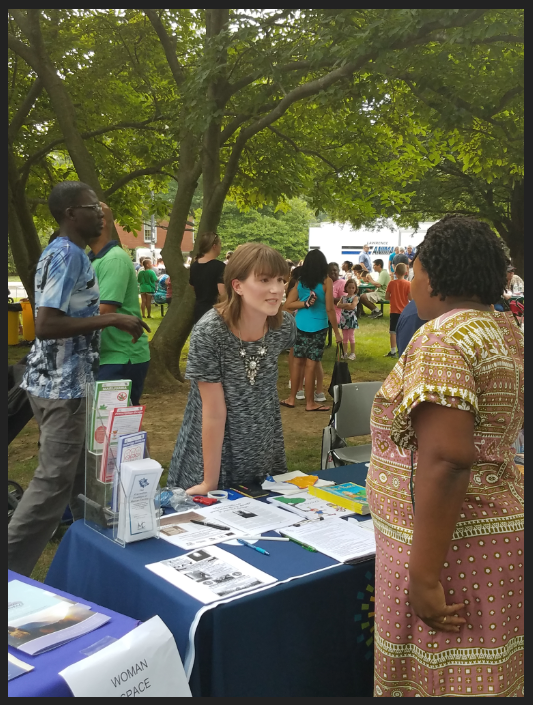 At the Lawrence Township NNO, Jocelyn Cooper engaged with children, parents, grandparents and other community members about the importance of primary prevention/education in helping people of all ages avoid substance use to keep themselves and those around them safe and healthy. Each year, the Prevention Coalition of Mercer County asks Mercer residents to provide feedback in the form of community surveys, which provide our agency with valuable information on perceptions surrounding substance use/misuse; this feedback in turn assists the agency and Coalition in more effectively tailoring prevention efforts to this very special, very unique community. We look forward to next year, where we hope to expand our participation and reach in the community.